These two types of mindset were first described by Stanford scholar Carol Dweck and have gotten lots of attention since then. Paul Tough, author of How Children Succeed: Grit, Curiosity and the Hidden Power of Character, observed that our upbringing has an impact on our mindset: children who are praised most often for their efforts and improvement tend to develop a growth mindset, while those who are rewarded primarily for positive outcomes like trophies and good grades come to believe that their abilities are more fixed. A person with a fixed mindset makes a mistake or experiences failure and thinks “I am a failure”. Since nobody wants to feel that way, a fixed mindset can push you to avoid things that are new or difficult. It can discourage you from asking questions or getting help when you’re struggling. Someone with a growth mindset makes a mistake or experiences failure and thinks “what can I do differently next time?” A growth mindset encourages you to keep pushing and experimenting beyond the edge of your abilities. When we think about people who have grit, determination and resilience, we’re usually thinking about people with a strong growth mindset. First, the bad news: many of us unconsciously undermine ourselves with a fixed mindset, and even pass it along to our kids. 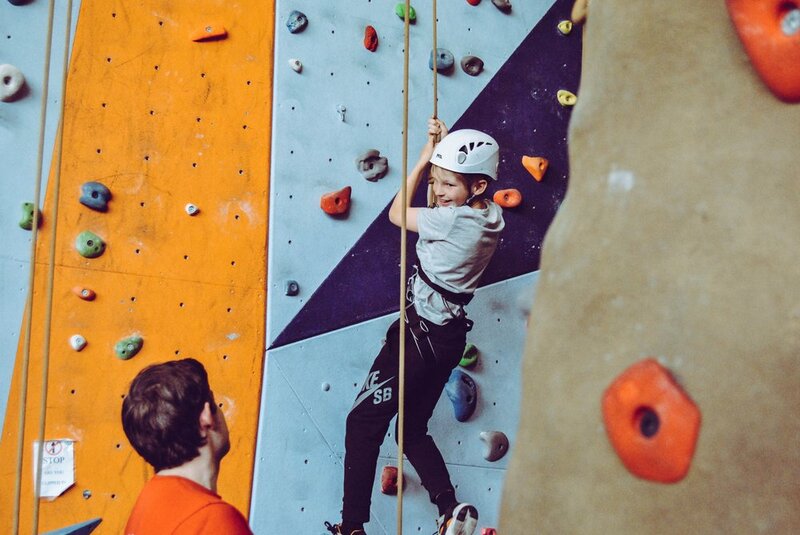 Have you, or your child, ever started an exciting new activity, then given it up shortly afterwards because it was difficult or because everyone else seemed so much better? If so, then a fixed mindset was probably at play. The good news is that a mindset is a habit, and like any other habit it can be changed. When you’re tempted to give up, think about all of the skills you’ve developed and mastered throughout your life. Remember - you were born knowing how to sleep and cry, and not much else. The rest took practice. You can help the young people in your life by being careful with your praise. It can be tempting to focus on outcomes by praising high performance, punishing failures, or even comparing a child’s performance to that of their peers. But this can backfire - if we tell children that they’ve succeeded because they’re smart and talented, what will they think when they inevitably fail at something? And what does it say to children who don’t usually hear these labels? If you’re not one of the “smart” kids, does that mean you can never do well in school? If you’re not “athletic,” does that mean you can never experience the rush of scoring a game-winning goal? Instead of focusing on the A+ or the trophy, how about recognizing the studying or practice that led to it? Instead of emphasizing the C- or the strike-out, could we talk about how to do things differently the next time? By shifting the emphasis from outcomes to efforts, we can help children recognize the benefits of hard work and to look at mistakes as stepping-stones to greatness. Just like anything else, a growth mindset can be developed. Someone who has trouble believing in their own capacity for growth, and who plays it safe because they fear failure or embarrassment, can learn to recognize these thoughts and start to change them. Anyone can step out of their comfort zone and try new things. Anyone can keep trying. And once all that trying starts to pay off, the mindset starts to shift on its own. So, go ahead - choose a path! Spice! Leadership empowers tomorrow’s leaders through camps and workshops for everyday heroes aged 10 to 110.